The Cayman Islands is a British Crown Colony located in the western Caribbean, 480 miles south of Miami, 150 miles south of Cuba and 180 miles northwest of Jamaica. By 737-200 jet, the Cayman Islands is about a 70-minute direct flight from Miami. 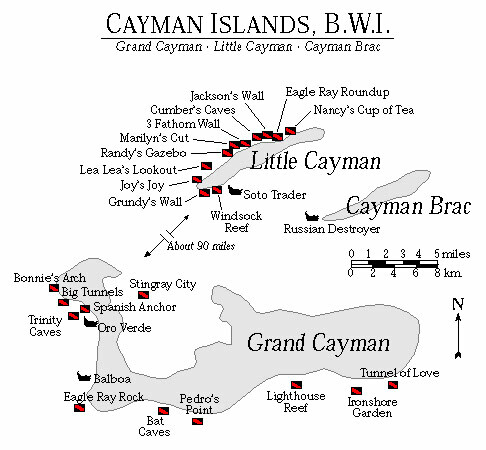 The island country consists of Grand Cayman, largest and most populous of the trio; and the Sister Islands of Cayman Brac and Little Cayman. The islands lack rivers or streams because of the porous nature of their limestone composition. It is this lack of runoff which gives the surrounding Caribbean Sea exceptional visibility, often well over 150 ft. Stingray City has become Cayman’s most famous dive site, located in shallow depths in Grand Cayman’s North Sound. Currently there are 234 permanent boat moorings installed and maintained by the Department of the Environment’s Conservation and Protection Unit, to protect popular dive sites from anchor damage off all three islands. The Cayman Islands are only a short flight from Houston or Miami. The islands are known for their vertical walls and crystal clear water with visibility in excess of 150ft. Great cuisine with authentic Jamaican Jerk chicken and vibrant seasoning of seafood dishes are only a few of the great dining choices. The outer islands are remote and offer greater seclusion. 2 custom dive boats featuring ½ shade and ½ sun, camera tables, camera rinse buckets, mask rinse buckets, towels, fresh ice water and fruit on board. “Ten Ata” accommodates 12 divers while “Atatude” accommodates 16 comfortably. 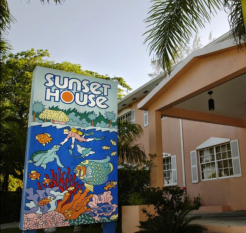 Both shore dive locations, Lighthouse Point and Cobalt Coast Dive Resort, offer on-site service. Cobalt Coast amenities include an easy access dock (below), a retail and rental store, full size dive lockers and locks, restrooms and showers, rinse tank and dry racks, camera bucket, set up benches and a classroom. 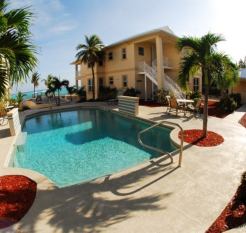 Lighthouse Point facilities include daily 2-tank boat trips, trips to Stingray City, ample parking, wide sidewalk and ladder for easy water access, rental equipment, Nitrox, restroom facilities, outdoor showers, rinse tank and dry racks, camera bucket, picnic tables and set up benches. At Divers Down, a maximum of just eight divers is allowed on our dive boats – this ensures you will receive the highest level of personal service in an atmosphere that is always relaxed and friendly. Cayman Diving College is the training department of Divers Down. It’s a PADI Gold Palm 5 star IDC center and teaches courses from Open water to Instructor and beyond. We have five custom dive boats in our fleet; two flat top pontoon boats with outboard engines and three v-hulls of various sizes. Although we limit our regular dive trips to a maximum of eight divers, our largest vessel can accommodate up to 16 divers. We run two tank dive trips daily, both in the mornings and in the afternoons. Our morning trip departs a little earlier than most dive operators, which guarantees that we have the pick of the best dive sites. We dive on the North, West and South sides of the island depending on weather conditions; the first stop is normally a guided wall dive which is then followed by a shallow reef or wreck. For those who prefer not to dive too deep, we offer the option of making two shallow dives; these trips are generally scheduled for the afternoon. For total convenience and flexibility, why not charter a dive boat with a personal instructor exclusively for your family or group of friends? It can actually cost no more than diving on a crowded boat with up to 20 people or more. The ultimate diving experience….enjoy total custom diving at its best! We provide all of our guests with free pick up and drop off service at all hotels and condominiums along Seven Mile Beach. At some locations we can even offer the added convenience of a boat pick up directly from your beach. The sister operation of Reef Divers Little Cayman, Reef Divers Cayman Brac is also committed to setting the standard for safety, diver-friendly services and world class facilities in the Cayman Islands. Boasting a new dive shop and five new custom-designed “super” dive boats, Reef Divers serves as the on-site dive operation at Brac Reef Beach Resort. Every year over 8,000 divers put pen to paper and rate their favorite sites, resorts, dive operations and more*. 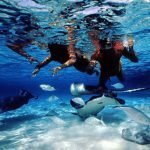 Little Cayman and Reef Divers consistently score top honors in such categories as Best Wall Diving, Fish Life, Visibility, Healthiest Marine Environment, Best Dive Operation, Resort, Staff, Restaurant….that’s a lot of “Bests”. It is an assurance of the quality of diving and services offered. The excellent visibility and pristine quality have led divers such as Phillipe Cousteau and David Doubilet to state that Little Cayman is one of the world’s premier dive destinations. 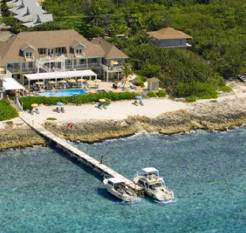 Reef Divers serves as the in-house dive operation for the Little Cayman Beach Resort. The dive center has everything you need: a fleet of 4 modern, custom designed dive boats, a complete inventory of tanks and scuba gear and a staff of seasoned guides and professional instructors. This freighter, which transported goods between Cayman Brac and Grand Cayman, capsized in 1985. After two weeks of tow attempts to salvage and right her, she sunk in 100 ft of water. Two slides later, she is balanced on the edge of the drop-off, with her bow hanging over into the abyss, off the southern end of Grand Cayman. Colorful corals and sponges decorate the wreck and provide the perfect environment for a variety of sea creatures. Great trimix dive. This shore dive off the northwest tip of Grand Cayman features a pristine mini wall teeming with corals, sponges and marine life. 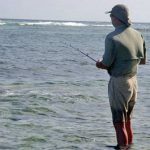 Daily sightings include southern, eagle and lemon rays, octopi, scorpion fish, bristle stars, crabs, anemones, eels, tarpons and a myriad of reef fish. Don’t miss the anchor from the early 1800’s on your way back in. This shipwreck relic is located just offshore in 15 ft of water. North wall dive featuring impressive corals, barrel sponges, yellow tube sponges and sea plumes. Look for jacks, wrasses and chromis. Years of hand-feeding makes for extremely friendly stingrays! Float, glide and play with these gentle creatures or treat them to a snack of squid. 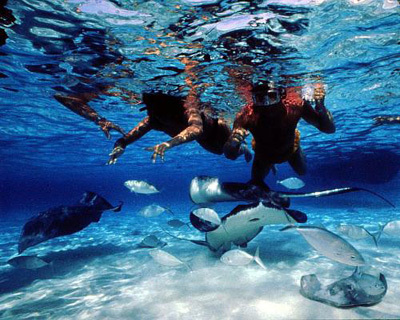 This is an unforgettable experience for snorkelers as well as divers. The best wall diving in the Caribbean! Coral canyons and sand chutes lead to the outer reef, then plunge to 6000 ft! Nothing can describe the majestic nature of these walls. A must-see for any diver. This mile-long stretch along the north shore is famous for its seemingly endless variety of colorful corals and sponges. You could spend your entire vacation exploring the different sites along the wall. 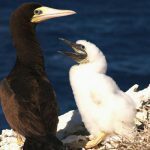 Dive at 40-100 ft and observe grouper, Horse-eyed Jacks, triggerfish, a myriad of smaller tropical fish and other interesting characters tucked into ledges and tiny caves. French angels, queen angels, eagle rays, sting rays and moray eels mingle with the smaller fish, mainly Yellow Headed Jawfish, sand tilefish and sand divers. Night diving will reveal octopi, basket starfish and Orange Ball Anemones. Enter the chimney at around 40 ft, then head 40 ft straight down. Watch for black durgeons, butterflyfish and turtles. Head west when at about 75 ft to take in the impressive barrel sponges. Striking archways, caves and mini-chimneys await discovery. Exciting swimthroughs spit you out along the wall at 80-100 ft. Excellent swimthroughs punctuated by picturesque yellow tube and red rope sponges. Don’t be surprised if you come across very friendly resident Nassau Groupers! Warm water, very little current and 100-150 ft visibility make for an exceptional diving experience. The 40 dive sites around the island offer up 100 species of hard and soft corals and over 500 different types of fish. Whether you’re looking for shallow dives, wall dives or wreck dives you’ll find what you’re looking for here. With the “valet” service you’ll receive from Reef Divers, you won’t have to worry about anything but taking in as much underwater scenery as possible. Here are a few of the great sites…. This partially penetrable, 330 ft vessel was sunk in 1996, and since then over 100 species of marine life have been observed there. It sits in 65-110 ft of water with the radio tower reaching to within 15 ft of the surface….did you hear that, snorkelers? Classic spur and groove diving along the south side of the island. Along with Tarpon, you’ll see pillar coral, elkhorn coral, star coral and soft coral galore. Nurse sharks, barracuda, parrotfish and the usual colorful tropical fish are also frequent sightings on this 20-50 ft dive. This pristine wall along the south side of the island starts at 50 ft and features enormous, colorful sponges, delicate gorgonians, rope sponges and hard corals. The dramatic terrain attracts Nassau Groupers, stingrays, turtles, Horse-eyed Jacks, snappers and angelfish. This north side reef sits at a depth of 40 ft and features spur and groove ridges rising to mountains of coral heads. Elkhorn corals, soft corals, hard corals and tube sponges prevail. A resident Green Moray Eel may greet you as you explore a swim-through or large undercut. This medium depth, spur and groove reef dive features Sharktail Eels, angelfish, turtles and squid cruising among the hard and soft corals, tube sponges and barrel sponges. Also look for Long-spined Sea Urchins, arrowcrabs, bristleworms, christmas tree worms and Flamingo Tongues. 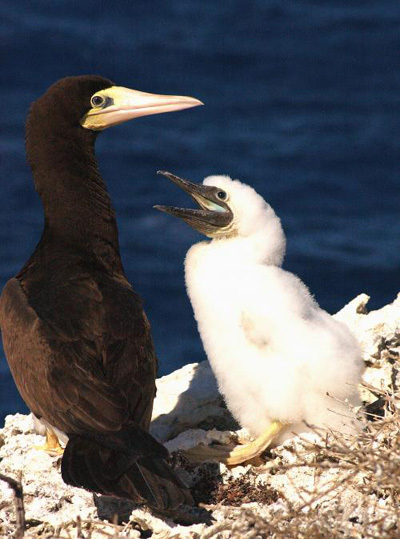 The latter is frequently found perched on large purple sea fans. Sunk in 1986, the Cayman Mariner now sits at 55 ft and attracts turtles, Green Moray Eels and barracuda to the soft coral and sponges decorating its exterior and hull. A little further out, at about 65 ft, the canyon falls into the abyss and marks the popular East Chute wall…..sponge heaven. 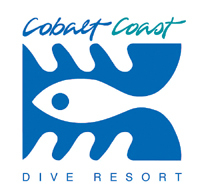 The partner resort of Divetech, Cobalt Coast is truly for divers! In fact the resort and its staff have both enjoyed #1 status in Rodale’s Scuba Diving magazine. Enjoy fantastic shore diving just steps from your oceanfront suite and the exceptional on-site dive operation that is Divetech. Cobalt Coast’s location on the northwest shore of Grand Cayman puts the North Wall, and thus some of the best dive sites around, within close proximity. Apart from the diving, the resort itself can be described as “laid back comfort”. The one and two bedroom suites are colorful and spacious. A freshwater pool, Jacuzzi and full-service bar and restaurant are there when you’re ready for a break from diving….and the high speed internet access is free and always on. 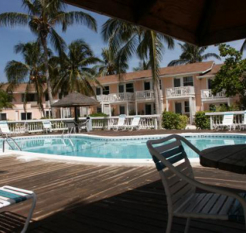 Little Cayman Beach Resort’s service and amenities are outstanding. Our 28 pool view rooms are spacious, air conditioned and tastefully decorated. Each features a balcony or patio, color TV, ceiling fan and private bath. For the ultimate in comfort, we have 12 luxury ocean front rooms complete with wet bar, microwave, refrigerator, coffee maker, private balcony or patio. Beach Nuts Bar offers cool drinks which can be enjoyed at the bar or pool side. As the sun begins to set, you’ll enjoy a wide variety of gourmet specialties, delicious fresh seafood and sumptuous island favorites in our air-conditioned Bird of Paradise Restaurant or dine alfresco among the swaying palms on our screened patio. The resort has everything you need to make your stay special. In Mermaids and the dive shop store, you’ll discover everything from postcards to dive gear. We also have a 1,500 square foot conference center, a game room, a fully-equipped fitness center, lighted tennis courts, 2 hot tubs and a health and beauty spa. 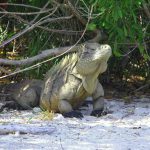 Little Cayman boasts the third largest bird sanctuary in the Caribbean and we encourage guests to tour by bicycle, or arrange for a guided tour to see all the sites on Little Cayman. Visit the new museum, the birdlife observatory, the old cemetery and Baptist Church and much more. 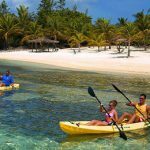 Located on the island’s southwestern tip, perched on a milky white beach, you’ll discover Brac Reef Beach Resort. Whether you’re there to explore the famous Bloody Bay Wall or escape from the pressures of life for a week or two, you’ll find our service and our amenities to be first-class. Our guest rooms are spacious, air conditioned and tastefully decorated, with amenities such as a balcony, color TV, ceiling fan, and private bath. All the comforts of home…and then some. There’s a lot to do at the Brac Reef Beach Resort. There’s diving and snorkeling just offshore. 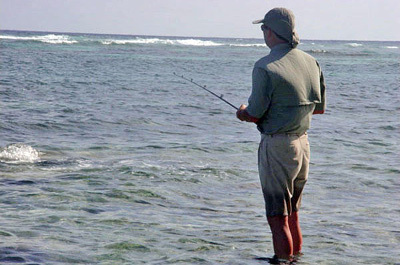 Bonefishing in the shallows. Deep sea fishing. Hiking. Biking. Tennis. Basketball. And volleyball. Take a dip in our fresh water pool. Unwind in our jacuzzi. Take in the breathtaking view from atop the island’s fully-functioning lighthouse. Explore the island’s historical museum or the bat caves tucked in the limestone bluffs at the Brac’s eastern end. The bluffs are a nature preserve, home to more than 150 species of birds and an awesome variety of wildflowers and exotic plant life. Ideal for casual bird watching, be sure to leave some time for a walk along our many nature trails. 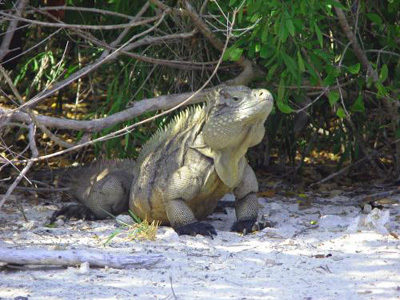 With so much to do, it’s easy to work up a big appetite on Cayman Brac. Our chef is ready to please with an exciting menu of gourmet specialties, delicious fresh seafood and sumptuous island favorites. Dine in our casual, air conditioned Palms Caribbean Restaurant or enjoy your meal outside on the patio among the swaying palms and tropical breezes, bathed in a technicolor sunset. This is definitely one of the “hot spots” on Grand Cayman. Located at the Royal Palms Beach Club in the heart of Seven Mile Beach, the Reef Grill boasts a beachfront bar, a nightclub and a brilliant gourmet menu. Try the Honey Soy Glazed Sea Bass with Basmati Rice and Red Thai Curry…..you won’t be sorry. 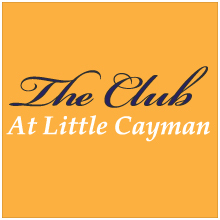 Nestled in the northwest corner of Grand Cayman, this location offers the best of both worlds. Sit back and relax with a rum punch at Macabuca while you wait for your table. Then enjoy an exceptional, Caribbean-inspired meal on the Cracked Conch veranda. This island-style tropical grill features a “rhum deck” and an extensive list of fun drinks. Jerk Chicken, Sugar Cane Shrimp and Caribbean Crab Cakes are some favorites. Nightly happy hour specials. Live entertainment on Friday and Saturday nights. Located in downtown George Town. 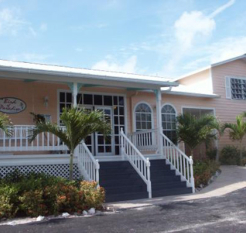 Located at the Little Cayman Beach Resort, this restaurant is buffet style. Expect great food and a lot of it! Saturday night features barbequed dishes. Fresh fish is on the menu every night. Top it all off with key lime pie! American food with a Caribbean flair right at the beach! Good fun. Caymanian cuisine featuring the best jerk chicken on the island! If you’re craving a cheeseburger in paradise, this is the place to come. If you can belt out a decent rendition of “Cheeseburger in Paradise”, Saturday night is karaoke night…. 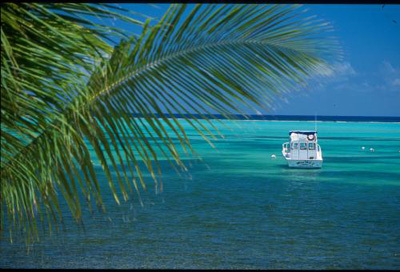 The Cayman Islands are located in the western Caribbean just south of Miami. 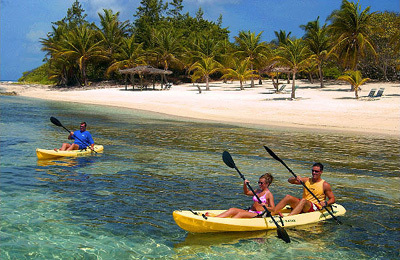 They are comprised of the islands of Grand Cayman, Cayman Brac and Little Cayman. How long are the flights to the Caymans? From Los Angeles, it takes 7 and a half hours to get to Grand Cayman with one stop over. From New York, it takes 4 hours. Flights can be longer depending on the duration of layovers. From Grand Cayman, a 30 minute domestic flight will get you to Cayman Brac and an hour long flight will get you to Little Cayman. English is the main language spoken with various local accents. U.S. citizens are required to have a valid passport and a return or onward ticket. Visitors are allowed to stay up to 6 months. Passports must be valid at least 6 months from the date of return. They use 110 volts. Same as U.S.
What airlines fly to the Cayman Islands? Cayman Airways, American Airlines, Delta Airlines, Continental Airlines, Northwest, Air Canada, British Airways, U.S. Airways and Air Jamaica. Water temperature is between 79 and 83 degrees, with a visibility often exceeding 100ft. World’s best 12-foot dive, famous Sting Ray City, shore dives, wall dives, wrecks, spotted eagle rays, stingrays, green and hawksbill sea turtles, eagle rays, schools of tarpon and silversides, barracudas, angelfish, puffer fish, scrawled filefish, flying gurnards, moray eels and much more. For morning dives, you depart at 8:30am and return between 11:30 and noon. For afternoon dives, you depart at 1:30pm and return between 4:30 and 5:00pm. While the water can get warm enough to go without, we recommend a 3mm wetsuit for protection. 10-15 minutes when diving in Grand Cayman and 20 minutes when diving in Cayman Brac. 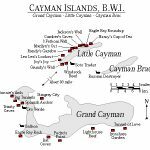 Cayman Brac and Little Cayman are only 7 miles apart so some dive sites in Little Cayman can be accessed from Cayman Brac.